Padilla Cigars is putting the final touches on a new cigar that will launch in three blends. Called Padilla Finest Hour, the cigar is a reference to Winston Churchill’s famous “This was their finest hour” speech, delivered in 1940 at a particularly low point during World War II, when the British stood alone against the Nazi war machine. Finest Hour will come in three different wrapper options: Oscuro, Connecticut and Sungrown. The cigars are expected to ship in January, but Padilla is keeping quiet about the specifics of the three cigar blends. “I want the focus to be on the cigar,” he told Cigar Aficionado, emphasizing the concept of the brand. 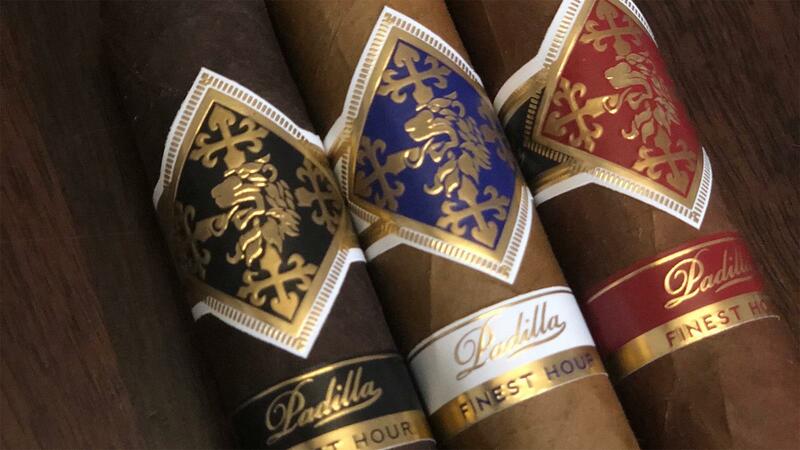 Padilla Finest Hour Oscuro, Connecticut and Sungrown will all come in the same three sizes: Robusto, at 5 inches by 52 ring gauge, Toro, at 6 by 52 and 6x60, with the same dimensions as its name. According to Padilla, Finest Hour will be part of the company’s regular-production portfolio, though he’s already planning limited-edition vitolas for the brand. “Later on, as [Padilla Finest Hour] establishes itself, a lancero, a corona gorda and other sizes will appear briefly,” he added. Padilla is not releasing the name of the cigar factory where Finest Hour is rolled, but confirms the factory is not Raices Cubanas in Honduras, where many other Padilla cigar brands are made.